Instant coffee has gone from jars to single-use bags, but there are still a few missing elements: hot water and cups on the go. 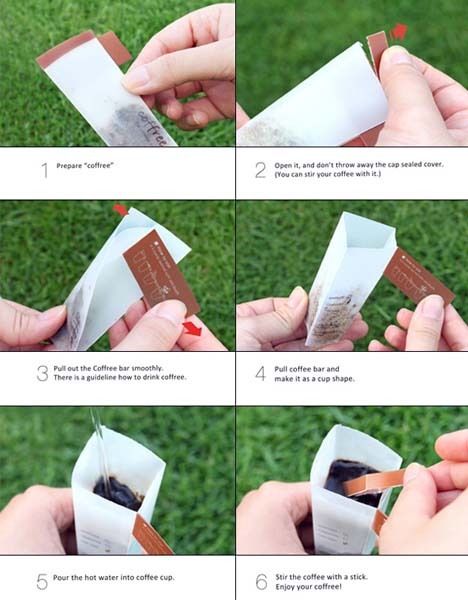 This nifty design addresses the latter, at least, bringing us one step closer to fully-mobile travel coffee. 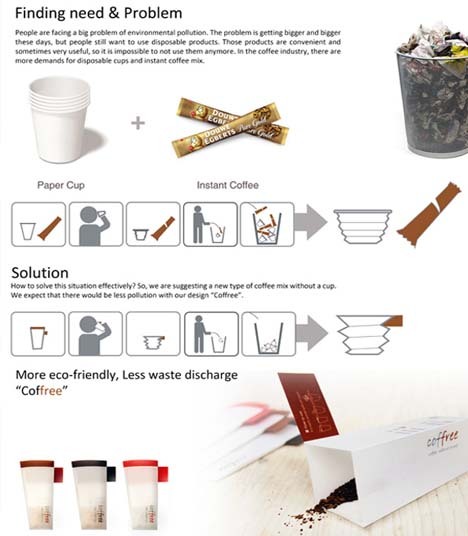 Young-an Seok, Young-woo Choi & Se-ryung Nam created an essentially flat-pack cup with the grounds already inside, a tear-and-serve strategy that fits neatly in a bag. 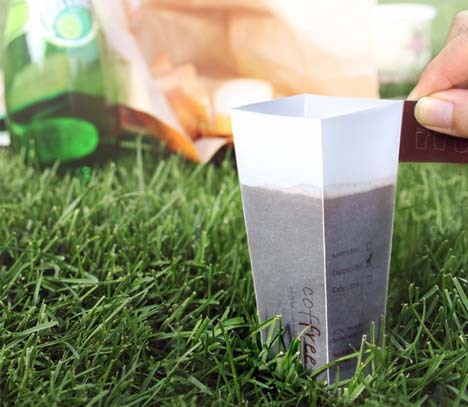 While it is bio-degradeable, this itself is nothing really new – a paper cup is too. The mobility (assuming it manages stability) of a cup that displaces no volume when packed, however, would be a big step forward itself.